Big Jim Colosimo's restaurant was located at 2126-28 Wabash Avenue in Chicago. A favorite place for well-known celebrities, Big Jim himself was frequently at his restaurant. He was gunned-down there on the 11th of May, 1920. Big Jim Colosimo was the first man to make organized crime a major Chicago "business." His initial focus was the brothel industry which he built with his first wife, a former madam. Netting around $50,000 a month, success from his 200-house business led to competition for his cash. When the "Black Hand" targeted Colosimo with extortion threats, he initially paid. After all, he knew how the game was played since he had been involved with that criminal element at the beginning of his career. When threats continued, and worsened, Big Jim needed to do something more. He called for help, summoning his nephew, Johnny Torrio, from New York City. Torrio had a "business" of his own working in New York. After he came to the frontier town of Chicago, Johnny needed trusted people around him. 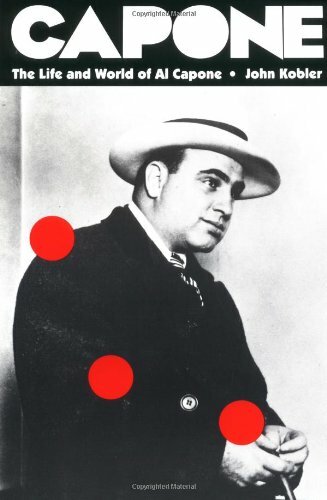 At the top of his list was Alphonse Capone, also known as "Scarface" since the time his face was sliced in a New York saloon. Al joined Torrio in 1920. With the help of Torrio and his crew, Big Jim built a growing business of saloons, brothels and gambling dens. Of course, it wasn’t enough for Johnny to merely share his uncle’s spoils. The man who'd emigrated from Calabria, Italy (in the 1890s), then made Chicago-crime big business, was gunned down at his saloon, Colosimo’s Restaurant, on May 11, 1920. (The cafe was a popular place, frequented by the likes of trial lawyer Clarence Darrow and opera singer Enrico Caruso.) Prohibition had been in effect just under four months. 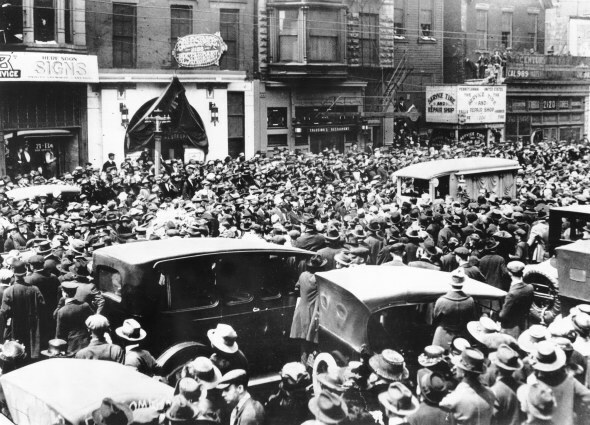 At the time of Big Jim's funeral, people crowded the streets of Chicago to get a glimpse of what was happening. This image, from the Library of Congress, depicts a scene from the day that Colosimo was laid to rest at Oak Woods Cemetery. Almost immediately, people speculated that Big Jim’s killer was most likely Frankie Yale, although he was never charged with the shooting. At the time, and since, most people believed Johnny Torrio had ordered his uncle’s death. Bos, Carole "CHICAGO'S EARLY CRIME BOSSES" AwesomeStories.com. Jul 01, 2002. Apr 20, 2019.